A woman was arrested for breaking into a Boynton Beach police substation, stealing food and leaving her wallet at the crime scene. 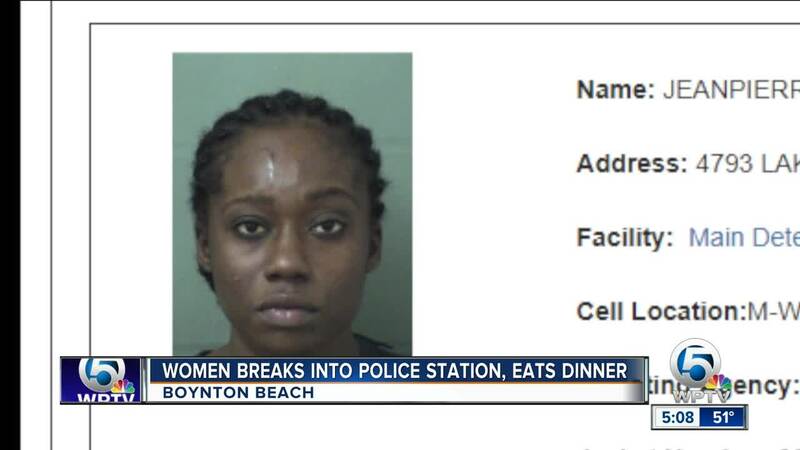 BOYNTON BEACH, Fla. — A Palm Beach County woman is accused of breaking into a Boynton Beach police substation, stealing food and leaving her wallet at the crime scene. On Jan. 3, officers arrived to work at 8:33 a.m. at the substation, located at 2210 S. Congress Ave. While settling into their offices, the officers noticed that the window on the south side of the building, leading into the kitchen area had been broken. Police say it appeared that someone broke the window and crawled inside, then removed two meals from the refrigerator. The suspect apparently heated one of the two meals in the microwave and consumed the meal inside the kitchen area. As a crime scene Investigator surveyed the crime scene, they located a plastic shopping bag on top of a trash can that initially appeared to be discarded trash. Inside the bag was a wallet that contained a Florida identification card and a State of Florida Security Officer card belonging to Yvelande Jean-Pierre, 29, of suburban West Palm Beach. 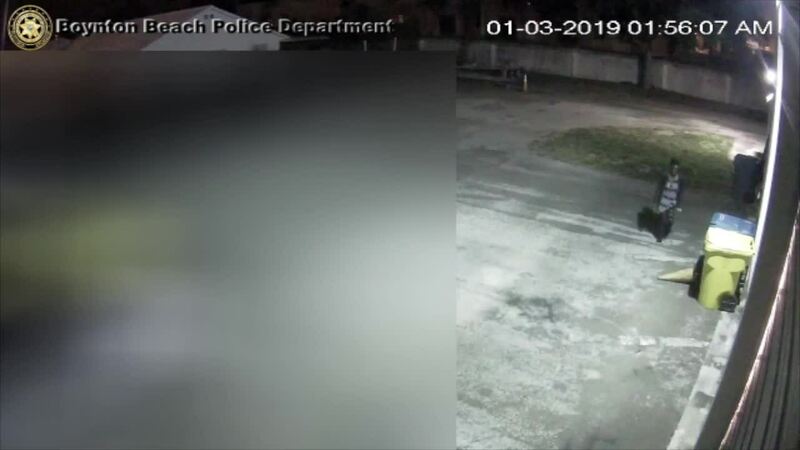 A review of video surveillance footage shows a woman first appearing at the substation at 1:25 a.m. At 1:55 a.m., she walked to the rear of the building and grabbed two recycling bins, then walked back to the south side of the building, where the broken window was discovered. At 2:12 a.m. she was seen climbing over a gate and exiting the compound, walking down S. Congress Avenue. On Jan. 9, officers met with Jean-Pierre at the Boynton Beach Police Department. Officers informed Jean-Pierre of the burglary and the fact that her wallet was recovered at the scene. She advised that she lost her wallet around the time of the burglary, but never reported it. She denied ever being in Boynton Beach and stated that she does not use drugs or alcohol. Jean-Pierre gave consent to look at her cellphone's contents. Location services revealed that on Jan. 3, her cellphone was at the intersection of SW 23rd Avenue and S. Congress Avenue for the majority of the day and into the night, just prior to the burglary. Yvelande Jean-Pierre was charged with burglary to an unoccupied structure, theft and criminal mischief.